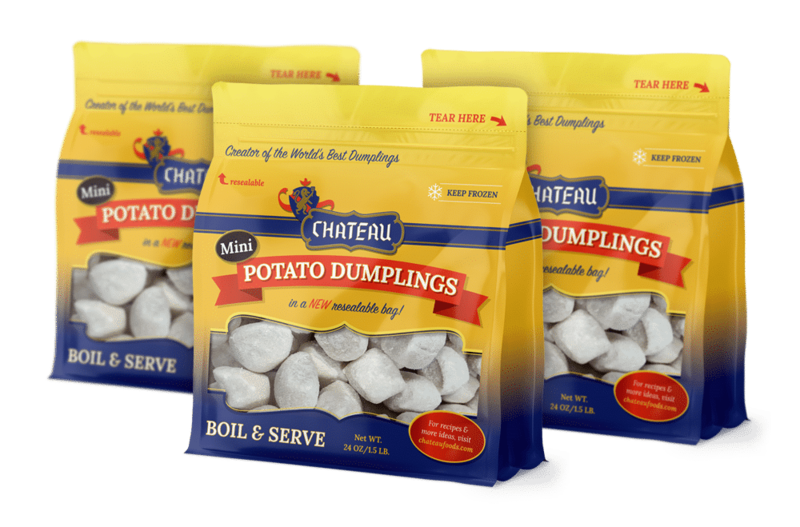 Chateau dumplings were created from Babi’s (Grandma’s) recipes and sold in the 1930’s and 40’s at the C.C. Shotola & Son retail meat market. In 1949, with the advent of the frozen food age, distribution began to other retail food stores. 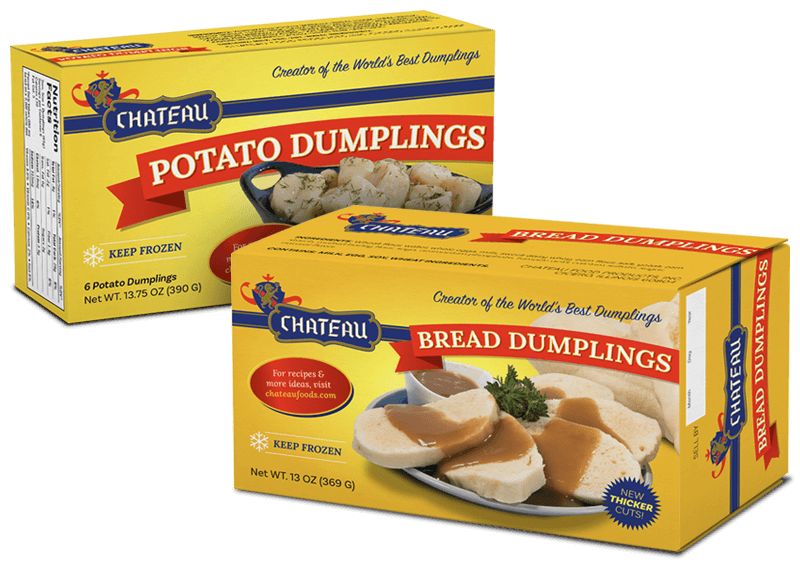 A few years later the Great Atlantic & Pacific Tea Co. became the first chain food store to distribute the full line of frozen dumplings, including: bread dumplings, potato dumplings, mock chicken legs (city chicken croquettes) and liver dumplings. 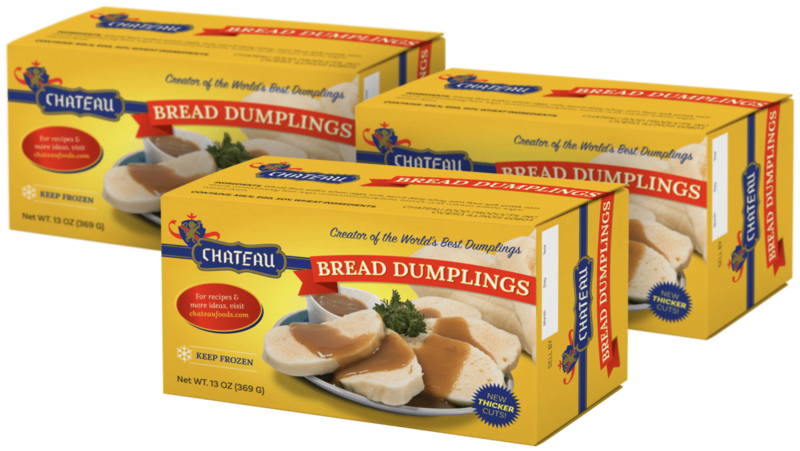 In the 60’s, with the expansion of the frozen food departments, more chain groups began to carry and feature the Chateau Dumpling line. 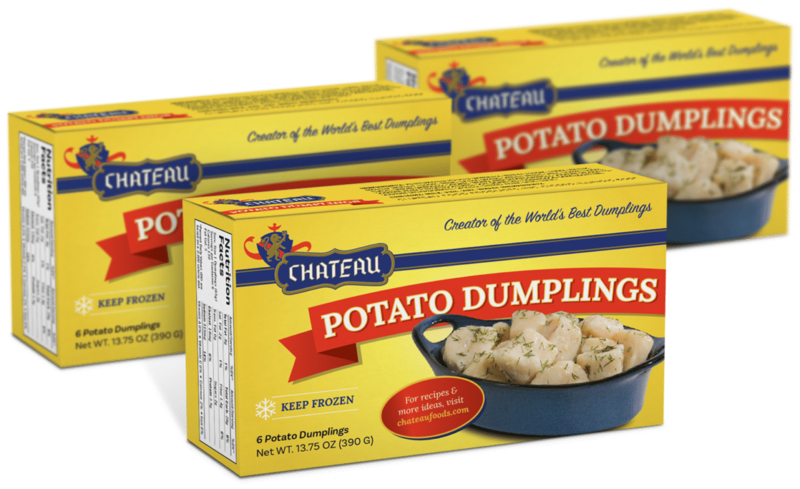 Want 6 boxes of Potato Dumplings and 6 boxes of Bread Dumplings in your case? 3 and 9? 4 and 8? Not a problem. Select our mix and match and configure your case however you’d like.